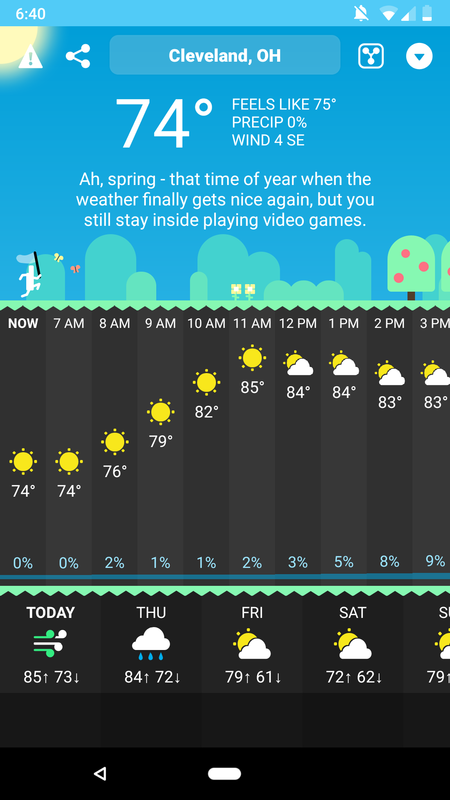 Carrot Weather, an app that tells you the forecast while also being mean to you, is now in pre-release beta on Android. 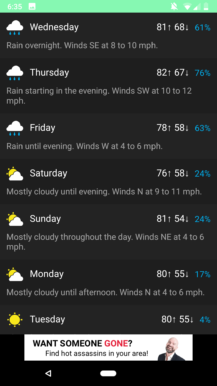 The jokes the app delivers are hit or miss, but with weather data from Dark Sky, a clean interface, and some pretty nice illustrations, it’s very usable overall. 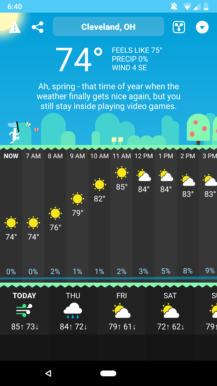 Carrot is both the name of the app itself and an “AI” character that serves up “hilariously twisted” forecasts (groan). By default, the app will say things out loud in a flat, synthesized voice (like the one you get in Google Maps when your phone loses its internet connection). Thankfully, that can be disabled. 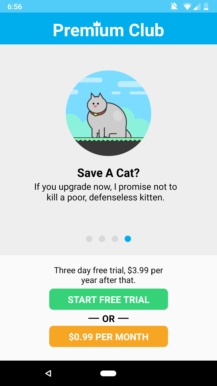 You can choose between four personalities for Carrot: friendly; snarky; homicidal (the default); and overkill, which includes profanity — something I’ve never felt my forecasts were lacking, but takes all kinds, I suppose. You can even specify your political leanings, which sees Carrot serve up some partisan zingers — my favorite was “Let me be the first to congratulate Rosanne Barr on winning the 2024 presidential election,” which I thought was surprisingly timely and witty. Carrot features plenty of “edgy” humor. For 99 cents a month or $3.99 a year, you can join Carrot’s “Premium Club,” which removes the app’s ads and includes a homescreen widget. There’s also a three-day free trial so you can decide if a recurring bill is worth it for ad-free mean forecasts. As of 10 a.m. this morning, Eastern time, Carrot is out of beta and has officially launched. You can grab the quippy weather app in its fully realized state now.